April certainly has been full of ups and downs weather wise. 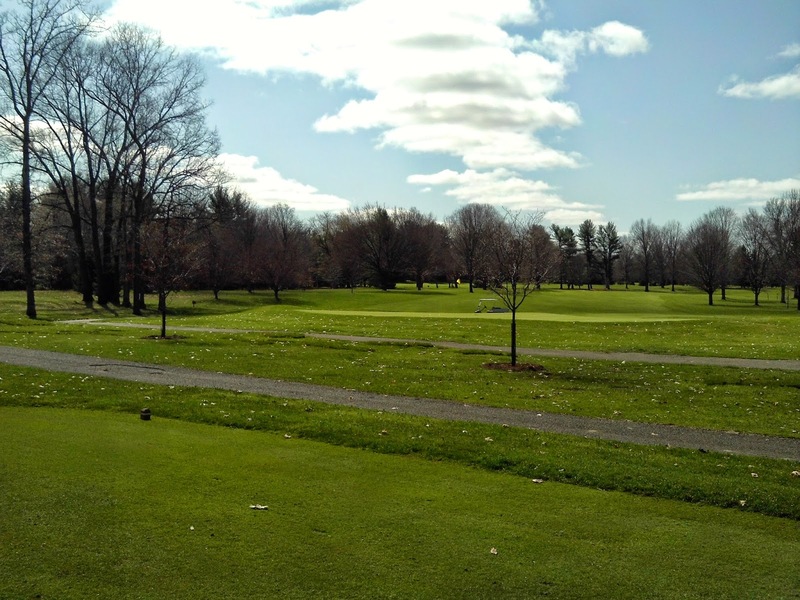 From 2″ of snow on the 15th of the month to upper 70’s and dry on Easter weekend, it has seemed like a roller coaster ride of weather to deal with when executing all that we need to do on the grounds. Besides completing our aerification on greens, tees, and fairways successfully, we also are in the process of applying pre- and post-emergent weed control around the golf course. Another critical spring application to our Poa annua greens is for seedhead suppression﻿. 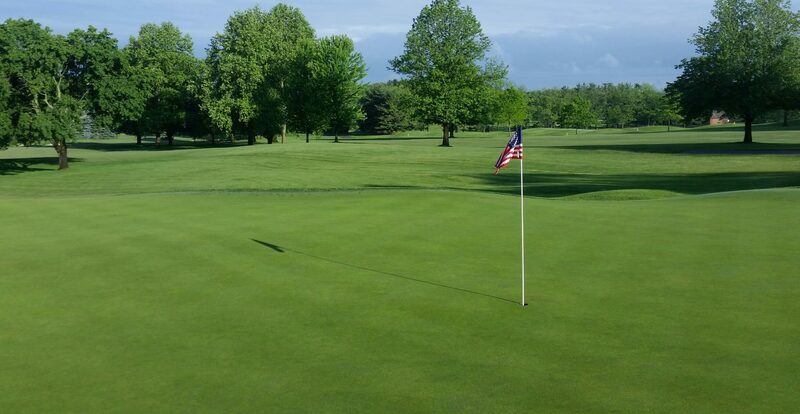 Note that this first of two applications does not eliminate the presence of seedheads on our putting surfaces, but is effective in greatly reducing the number of them that affect ballroll. As in previous years, we have place checkplots, such as the one in the left picture, to measure the success of the timing on the application. To learn more about why we place these on certain areas, Greg posted a great blog article here. Another project that we have completed is the area between 6 green and 7 tee. 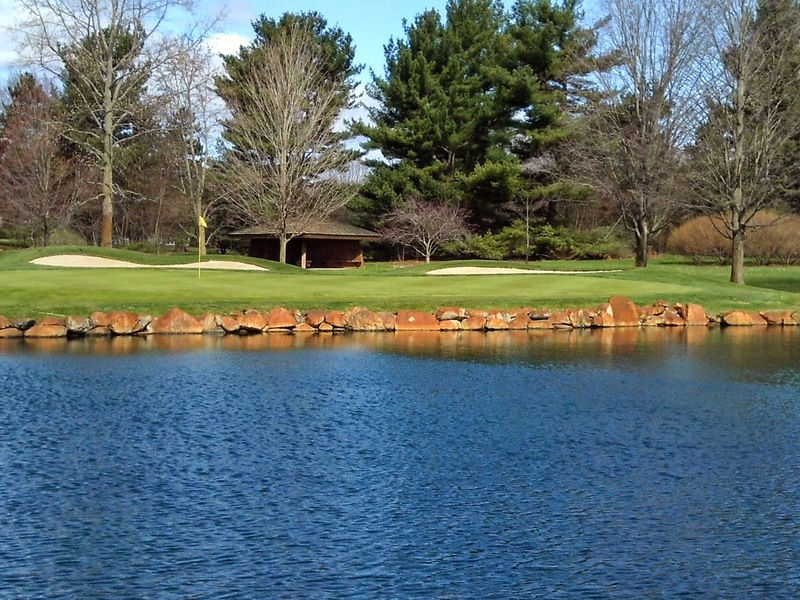 Several large trees were removed over the winter and were replaced with four Amelanchier species. These trees will be smaller and more compact, and add a dramatic white background in the spring with its blooms. Sod and seed were added to fill in the bare areas. Many of you have commented on the new look from the green or tee, thank you for those. 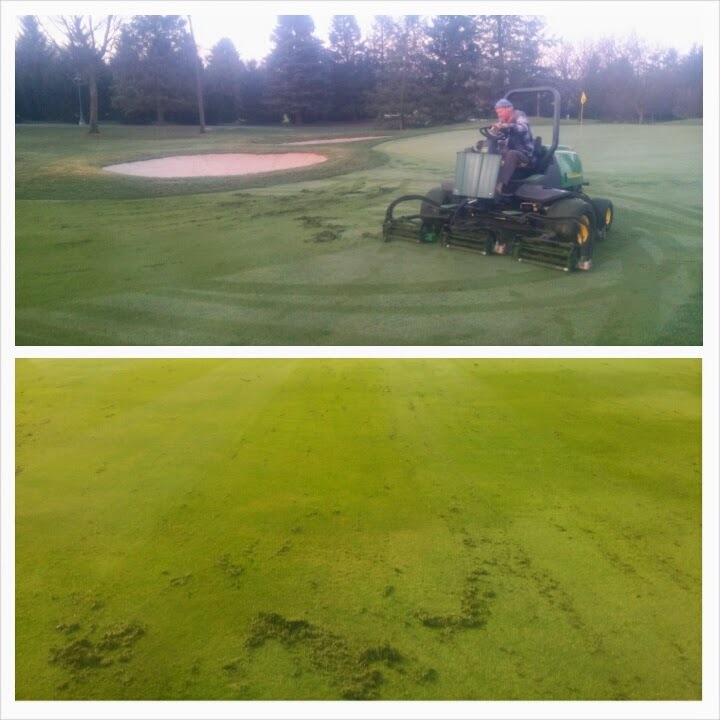 Lastly, we began verticutting tees and fairways this week. Our tees have a good amount of thatch in them, making them spongy to the feel. Some thatch is good, acting like a mulch barrier protecting the plant from extreme temperature fluctuations and moisture loss. Thatch also gives the turf some cushion from cart, mower, and foot traffic. Too much thatch leads to soft playing conditions, potential for mower scalping, and increased desiccation of the root system. Vertical mowing is also a great tool to create a more upright standing plant, which in turn creates a better quality of cut for our regular mowers, and a tighter lie for your ball in the fairway. The picture top left shows the grain issues we are facing in the fairways today, and the bottom left picture shows the unit in action and the clippings that the vertical mower leaves. This will be a regular bi-monthly practice for us unless weather dictates otherwise. 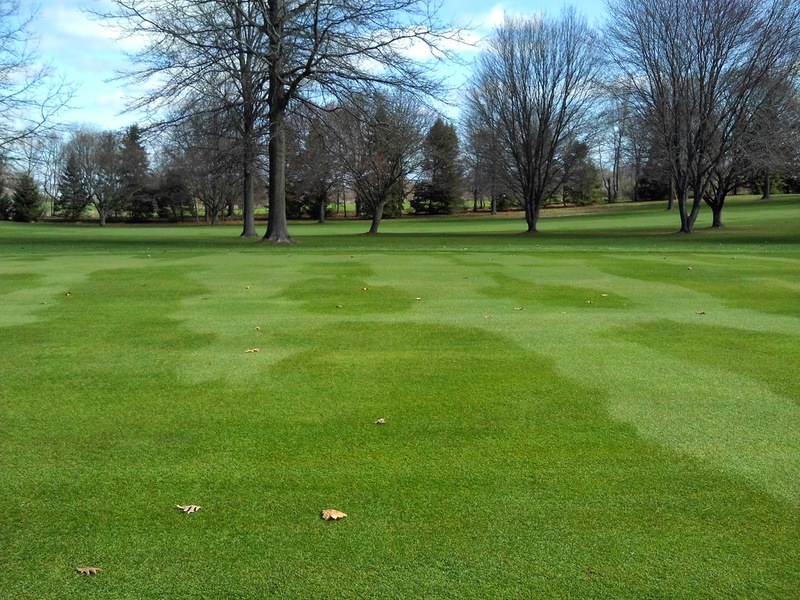 Keep in mind that it will take many vertical mowings for the fairways to get to where we need them to be. For more information on vertical mowing and its benefits, a great article can be read here. See you on the golf course! 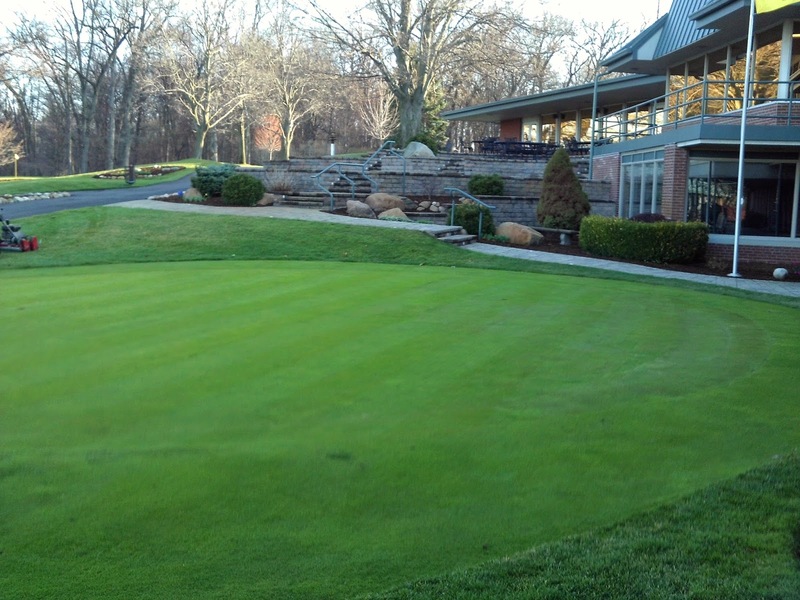 One project that you probably have noticed ﻿is the small Practice Green next to the clubhouse. 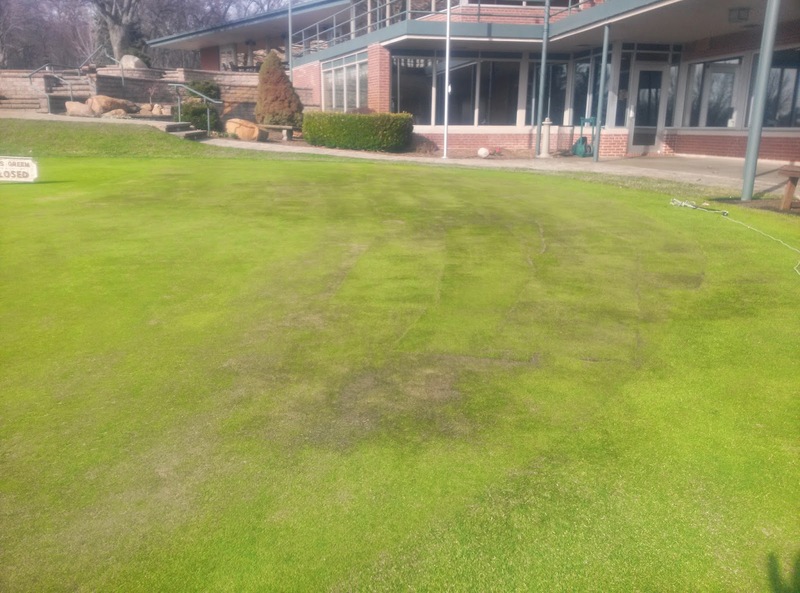 I had closed that green to traffic in March in the attempts to further aid its recovery from the severe winter damage that it sustained on the far east side. After three weeks, no major recovery was taking place, so we had to sod the dead turf using new sod from our greens nursery. This sod will require lots of rolling and topdressing to further smooth it out, and we have begun mowing it at a higher height to slowly work the new sod down to the height of other greens on the golf course. 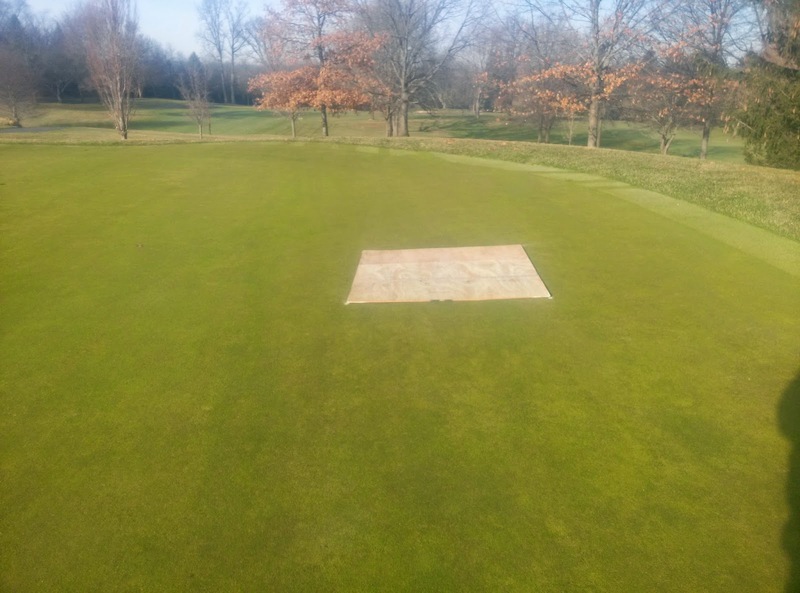 The green will remain closed until the roll and playability of the green matches the conditions on the golf course and the height of cut is the same as the others on the course. I appreciate your understanding with this repair.